Louis Aslett is an Assistant Professor in the Department of Mathematical Sciences at Durham University. My current primary research interest is at the interface between cryptography and statistics, with the focus on privacy preserving statistical analyses. My personal interest is on the statistics side of this fusion, developing novel statistical methodology which is amenable to use in the constrained environment of encrypted computation made possible by recent developments in homomorphic encryption. My other main strand of research is in reliability theory, where interest is in the structural reliability of engineered systems, usually taken from a Bayesian perspective. I also have research interests in computational acceleration of Hidden Markov Models (HMMs) as used in medical genomics which result in intractable inference when dependency is introduced between different genome sequences. Threaded through all these research interests is a particular interest in modern massively parallel computing architectures such as GPUs and the development of statistical methodology which is amenable to implementation in such environments. From 2013 to 2017 I was a postdoc on the EPSRC funded i-like project in Chris Holmes’ group at the University of Oxford, and Junior Research Fellow at Corpus Christi College. I completed my PhD in 2013, entitled “MCMC for Inference on Phase-type and Masked System Lifetime Models” at Trinity College Dublin with supervisor Simon Wilson. Before entering research I was Founder and Technical Director of 6 Internet Limited, a server hosting and application development specialist and hold a first-class BA (Hons) in Mathematics and a PhD in Mathematical Statistics from Trinity College Dublin. RStudio AMIs — I am maintaining Amazon Machine Images which make deploying an RStudio Server into the Amazon EC2 service very fast and easy. HomomorphicEncryption R Package — An R package enabling statistics and machine learning researchers to exploit homomorphic encryption from R, with all computation performed in optimised C++ code. EncryptedStats R Package — An R package implementing traditional and novel statistical machine learning methods in a manner amenable to computation on homomorphically encrypted data. This is designed primarily for use with the HomomorphicEncryption package above, but the methods can be run both encrypted and unencrypted. PhaseType R Package — An early release of an R package for working with Phase-type distributions. At present, there are two functions for Bayesian inference on Phase-type models, which are high-speed C implementations of MCMC algorithms. The package is available on CRAN. ReliabilityTheory R Package — A toolkit for structural reliability theory. This includes methods of system reliability analysis based on structure functions, system signature and survival signatures. The package is available on CRAN. mlmc R Package — An implementation of Multi-level Monte Carlo for R. This package builds on the original GPL-2 Matlab and C++ implementations by Mike Giles (see http://people.maths.ox.ac.uk/~gilesm/mlmc/) to provide a full MLMC driver and example level samplers. Multi-core parallel sampling of levels is provided built-in. The package is available on CRAN. SPARRA (Scottish Patients At Risk of Re-admission and Admission) — I am seconded to the Alan Turing Institute working on a project for NHS Scotland to update SPARRA. SPARRA is a model constructed on the entire Scottish population using centralised NHS data in order to predict those patients who require early primary care intervention to reduce the risk of emergency hospital admission. Atom Bank KTP — Myself and Camila Caiado are running the Durham part of a Knowledge Transfer Partnership between Atom Bank, Newcastle University and Durham University. The project is exploring the use of encrypted statistical methods in mortgage book modelling. Willetts, M., Hollowell, S., Aslett, L. J. M., Holmes, C. C. & Doherty, A. (2018), ‘Statistical machine learning of sleep and physical activity phenotypes from sensor data in 96,220 UK Biobank participants’, Nature Scientific Reports 8. Details and download. Aslett, L. J. M., Nagapetyan, T. & Vollmer, S. J. (2017), ‘Multilevel Monte Carlo for Reliability Theory’, Reliability Engineering & System Safety 165, 188—196. Details and download. Aslett, L. J. M., Coolen, F. P. A. & Wilson, S. P. (2015), ‘Bayesian Inference for Reliability of Systems and Networks using the Survival Signature’, Risk Analysis 35(9), 1640—1651. Details and download. Wilson, S. P., Mai, T., Cogan, P., Bhattacharya, A., Robles-Sánchez, O., Aslett, L. J. M., Ó Ríordáin, S. & Roetzer, G. (2014), Using Storm for scaleable sequential statistical inference, COMPSTAT 2014, 103—110. Details and download. Aslett, L. J. M., Esperança, P. M. & Holmes, C. C. (2015), A review of homomorphic encryption and software tools for encrypted statistical machine learning, Technical report, University of Oxford. arXiv:1508.06574 [stat.ML]. Details and download. Aslett, L. J. M. (2015), ‘Doing Science Blindfold’, The Sundial, Corpus Christi College Oxford. Download (PDF). Coolen, F. P. A., Coolen-Maturi, T., Aslett, L. J. M. & Walter, G. (2016), Imprecise system reliability using the survival signature, in ‘ICAMER 2016 Proceedings’. Details and download. Aslett, L. J. M. & Wilson, S. P. (2011), Markov chain Monte Carlo for Inference on Phase-type Models, in ‘ISI 2011 Proceedings’. Details and download. Aslett, L. J. M. & Wilson, S. P. (2010), Modelling and Inference for Networks with Repairable Redundant Subsystems, in ‘SMRLO’10 Proceedings’. Details and download. Aslett, L. J. M. (2012), MCMC for Inference on Phase-type and Masked System Lifetime Models, PhD thesis, Trinity College Dublin. Details and download. Supervisor: Simon P. Wilson External: Frank Coolen, Durham University. 54th Gregynog Statistical Conference, 2018, invited short course: ‘Cryptography and Statistics: a short introduction’. Slides for lecture 1 & 2 (PDF); Slides for lecture 3 (PDF); R code (ZIP). Isaac Newton Institute, Scalable Statistical Inference Workshop: ‘Towards Encrypted Inference for Arbitrary Models’. Slides (PDF), Video of Talk. 3rd UCL Workshop on the Theory of Big Data: ‘Towards Encrypted Inference for Arbitrary Models’. Slides (PDF). Google Inc., European Headquarters: ‘Learning Component Reliability with Reduced Information’. Slides (PDF). Data Science North East Meetup, 2018: ‘Doing Data Science Blindfolded’. Slides (PDF). BayesComp 2018, Barcelona: ‘Contemporaneous MCMC’. Slides (PDF). Newcastle University Seminar, 2018: ‘Towards Encrypted Inference for Arbitrary Models’. Slides (PDF). UTOPIAE Training School, 2017: ‘Statistical Methods for System Reliability’. Slides (PDF). Durham University Seminar, 2017: ‘Towards Encrypted Inference for Arbitrary Models’. Slides (PDF). Privacy in Statistical Analysis, RSS Emerging Applications Section, 2017: ‘Doing Machine Learning Blindfolded’. Slides (PDF). University of Warwick Young Researchers’ Meeting, 2016: ‘Taming the Inner Loop’. Slides (PDF). Oxford R User Group inaugral talk: ‘Cheap and cheerful massively parallel batch R processing on EC2’. Slides (PDF). ENBIS 2016, Sheffield: ‘Cryptographically secure multi-party evaluation of system reliability’. Slides (PDF). ISBIS 2016, Barcelona: ‘Cryptographically secure multi-party evaluation of system reliability’. Slides (PDF). Poster @ ISBA 2016, Sardinia: ‘Doing Statistics Blindfolded’. Download poster (PDF). Poster @ i-like Workshop, Lancaster University, 2016: ‘Multi-level Monte Carlo for Reliability Theory’. Download poster (PDF). Amazon Machine Learning, Berlin, 2016: ‘Doing Machine Learning Blindfolded’. Slides (PDF). LMS Mathematical Methods in Reliability, Durham University, 2016: ‘Multi-level Monte Carlo for System Reliability Simulation’. Slides (PDF). Université de Lille Statistics Seminar, 2016: ‘Towards Encrypted Statistics and Machine Learning’. Slides (PDF). University of Oxford CSML Seminar, 2016: ‘Doing Statistics Blindfolded’. Slides (PDF). 2nd UCL Workshop on the Theory of Big Data (2016) Talk: ‘Scalability Issues and the Potential for Encrypted Machine Learning’. Slides (PDF). University of Warwick Algorithms Seminar, 2015: ‘An Introduction to Homomorphic Encryption for Statistics and Machine Learning’. Slides (PDF). RGU Research Seminar, 2015: ‘Data Science and Statistics in the Amazon Cloud with R’. Slides (PDF). University of Warwick Young Researchers’ Meeting, 2015: ‘Background on HPC for Statistics’. Slides (PDF). Poster @ i-like Workshop 2015: ‘Doing Statistics Blindfold’. Download poster (PDF). CASI 2015 Talk: ‘Cryptographically secure multiparty evaluation of system reliability’. Slides (PDF). Poster @ CASI 2015: ‘Doing Statistics Blindfold’. Download poster (PDF). London Mathematical Society MMR @ Durham 2015 Talk: ‘Cryptographically secure multiparty evaluation of system reliability’. Slides (PDF). Poster @ i-like Workshop 2014: ‘Coupled Hidden Markov Models: some computational challenges’. Download poster (PDF). Durham University Seminar, 2014 (joint presentation with Frank Coolen): ‘Bayesian inference for reliability of systems and networks using the survival signature’. Frank Coolen’s slides (PDF), my slides (PDF), code (R). University of Warwick Algorithms Seminar, 2014: ‘Coupled Hidden Markov Models: computational challenges’. Slides (PDF). i-like Virtual Seminar, 2014: ‘Considerations in parallel algorithm design’. Slides (PDF). GDRR 2013 Talk: ‘Parametric and Topological Inference for Masked System Lifetime Data’. Slides (PDF). SIMRIDE 2013 Talk: ‘Learning Component Reliability with Reduced Information’. Slides (PDF). Durham Risk Day 2012 Talk: ‘Parametric and Topological Inference for Masked System Lifetime Data’. Slides (PDF). TCD Statistics Workshop 2012 Talk: ‘Parametric and Topological Inference for Masked System Lifetime Data’. Slides (PDF). ISBA 2012 Talk: ‘Inference on Phase-type Models via MCMC, with application to networks of repairable redundant systems’. Slides (PDF). CASI 2012 Talk: ‘Markov chain Monte Carlo for Phase-type Models’. Slides (PDF). Trinity Statistics Seminar Talk: ‘Using the New TCD Statistics Cluster’. Download slides (PDF) and demo files (ZIP). Durham Risk Day 2011 Talk: ‘Inference on Phase-type Models via MCMC with Application to Repairable Redundant Systems’. Slides (PDF). TCD Statistics Workshop 2011 Talk: ‘Markov chain Monte Carlo for Inference on Phase-type Models’. Slides (PDF). Poster @ ISI 2011 & BISP 7: ‘Markov chain Monte Carlo for Inference on Phase-type Models’. Download poster (PDF) and spotlight talk (PDF). Trinity Statistics Seminar Talk: ‘GPU Programming Basics: Getting Started’. Poster @ 9th Valencia Meeting: ‘Networks with Repairable Redundant Subsystems: Faster Inference for Phase-type Distributions’. Poster (PDF). Trinity Statistics Seminar Talk: ‘Speeding up R: Calling C from R’. Download slides and code (zip). SMRLO’10 Talk: ‘Modelling and Inference for Networks with Repairable Redundant Subsystems’. Slides (PDF). Poster and Video: IRCSET Symposium 2009, display to Irish government and general audience of work being undertaken by IRCSET funded researchers. Download poster (PDF) / video (MPEG-4). I was module leader for the “Scalable methods for analysis of large and complex datasets” module for the first 3 years of the Oxford-Warwick Centre for Doctoral Training programme. I supervised students’ summer dissertation projects on the Applied Statistics MSc programme. Past students were Dan Zhang, Ella Kaye and Xi Chen. I was responsible for writing and delivering the R computer laboratory sessions for the MSISS & Mathematics course on Data Mining run by Dr Myra O’Regan. Details here. Answering questions and helping undergraduates in numerous computer laboratory courses (R/Minitab/Excel). Mathematics tutorials for mature first year business/economics students and mature first year science students. Probability & Statistics tutorials for first year undergraduate mathematics students. Writing and delivering first and second year undergraduate short exam revision courses in ‘Introduction to Statistics’ and ‘Probability and Theoretical Statistics’ for mathematics students. STATICA Compute Cluster — This is the small compute cluster of the Statistics research group at Trinity College Dublin which I was responsible for specifying, setting up and administrating during my time there. CASI 2012 and GDRR 2013 — As one of the organising committee of both the Conference on Applied Statistics in Ireland 2012 and the Third Symposium on Games and Decisions in Reliability and Risk, I developed the online abstract submission and registration payment systems. Computational Statistics Reading Group (2013—14) — Pierre Jacob and I organised the weekly reading group in computational statistics and machine learning in 2013—14, held from 4—5pm on Fridays. 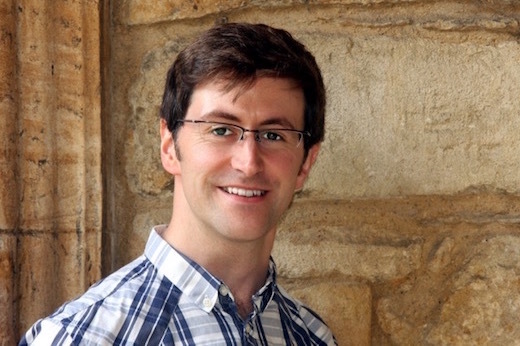 ‘The Network (2014—15)’ — Michael Salter-Townshend and I organised ‘The Network’ which provided social and academic events for DPhil students and postdocs in the Department of Statistics at the University of Oxford to meet, discuss their research and find peer support. i-like workshop 2014 — I served on the organising committee. Workshop on Privacy in Statistical Analysis 2017 — I helped organising this workshop with Richard Everitt under the auspices of the Royal Statistical Society Emerging Applications Section.